The Journey begins! I started my vacation driving out to Mt Evans to view the Perseid Meteor Shower. Did’nt get any good shots of the shower it’s self, but did get a couple of good night shots. Moved on the next day to Guanella Pass. I camped near the base of the Silver Dollar Lake Trail. I dragged all of my camera gear with me. Hiking poles! I cannot stress enough how great they are, especially when hiking with a heavy pack. The trail goes to Silver Dollar Lake, hence the name. But you can continue on up to Murray Lake which also has great views. Also bring extra sunscreen! While I slathered up before I started the hike. I was out long enough for it to ware off. So I got a little crispy. 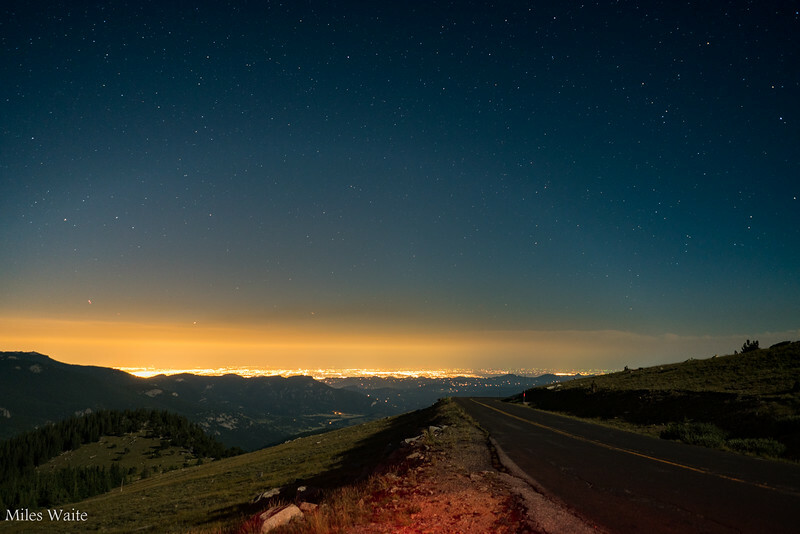 Looking down on Denver while watching the Perseid Meteor Shower, on Mt Evans.